Obama said last week he wants to answer questions about conversations his aides had over filling his Senate seat because nothing inappropriate took place. President-elect Barack Obama's transition office is ready to release an internal review of all contacts his staff had with Illinois Gov. Rod Blagojevich's office over the Senate seat that Obama has vacated and that the governor is accused of putting up for sale. The report's release, expected Tuesday, comes as Obama is vacationing in Hawaii. Obama said last week he wants to answer questions about conversations his aides had over filling his Senate seat because nothing inappropriate took place. But he kept the details private while the federal investigation continues. "We have a report," Obama spokeswoman Stephanie Cutter said Monday. "It's been ready for release for a week. We've held off at the request of the U.S. Attorney's office and that continues to be the case, though we expect to be able to release the report shortly." Aides said Obama had no plans to make a public statement on his internal report while in Hawaii. Last week Obama described the findings of the review as "thorough and comprehensive" and promised they would be made public this week. Incoming White House chief of staff Rahm Emanuel contacted Blagojevich's office about the appointment, according to a source close to the governor who requested anonymity because the person is not authorized to speak on the matter. 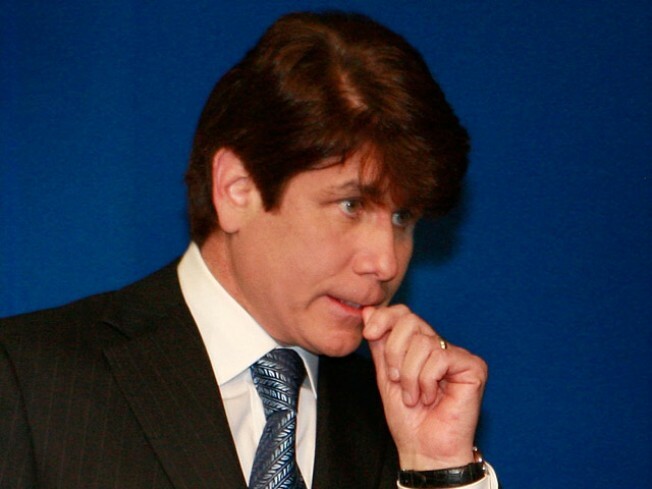 Blagojevich believed Emanuel was advocating Obama friend Valerie Jarrett for the Senate seat so he would not have to compete with her for Obama's attention in the White House, the source said. The U.S. attorney's office had been secretly recording Blagojevich's calls since October. A federal complaint charging the governor with seeking cash and favors for Obama's vacant Senate seat doesn't cite conversations with Emanuel or others on the transition staff. U.S. Attorney Patrick Fitzgerald in Chicago said when announcing the charges that Obama was not implicated in the case, and sources have said Emanuel is not a target of prosecutors. An official familiar with Obama's internal review said the president-elect's team wrote its report without having access to transcripts of the FBI's taped conversations. The source spoke on condition of anonymity because this person was not authorized to discuss the review publicly. Emanuel has refused to comment on his recent interaction with Blagojevich and his staff. Emanuel succeeded Blagojevich in his House seat in 2002, when Blagojevich became governor. Emanuel also served as an informal campaign adviser to the governor and has a mutual friend with Blagojevich who has become a key player in the criminal investigation. The governor at times considered trying to exchange Obama's Senate seat for a presidential appointment, a job for his wife, campaign contributions and donations to a nonprofit he hoped to create, according to the complaint. Blagojevich expressed frustration in one conversation taped by the FBI that Obama and his advisers weren't "willing to give me anything except appreciation. (Expletive) them," the complaint quoted him as saying.